Megan Brashear, CVT, VTS (ECC), talks through the steps of performing hand differentials including white blood cell identification, red blood cell morphology, and calculating absolute leukocyte values. Hi Patty! We looked into it, and this video should be playing normally. If you're still having issues viewing this video on your computer or device, just shoot an email to support@atdove.org and our tech team can help you troubleshoot. Nice refresher of how to do a cell count which I hadnt done for a while after being on maternity leave, thankyou. 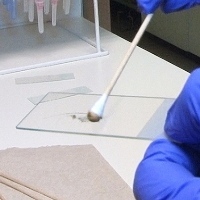 We dont have an actual counter, and I have always just used a scrap of paper, but it occurred to me that there might be an app that would do the job, and there is one called "small animal differential cell counter" which very kindly has pictures of the cell types and does the maths to get your percentages. I have no commercial links with it - just thought other people might like it too. So do we have to count each cell 100 times, or just until the number 100? Amanda, your goal is to count 100 white blood cells total; you do not have to find 100 of each type. 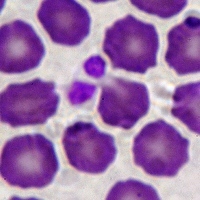 There are no instructions for counting patterns to prevent counting the same cells twice, minimal morphology information, basophil description is only for dog though not stated as such and no recommendation to scan the feathered edge before going to oil (looking for platelet clumps, microfilaria and increased populations of leukocytes due to poor smearing technique. I would not recommend this video to my students. While we know that there are lots of students utilizing our videos, we certainly can never replace the knowledge of an instructor teaching them for the first time. 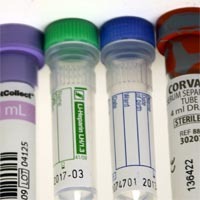 You bring up great points for first time blood smear readers and this video serves as a helpful reminder for basic cell identification. We are happy to hear that our videos have been helpful to you in your program! If there are topics that you feel we are missing, please let us know. We are always looking to grow our content for students.